Ordering food has never been so easier! 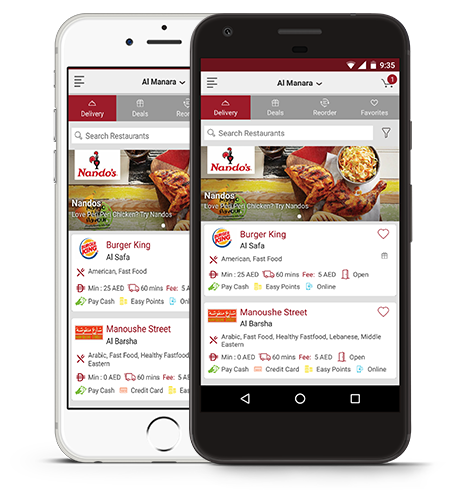 Order food from 1200+ restaurants through our mobile application - EatEasy. EatEasy is available in English & Arabic. We are active in Dubai, Abu Dhabi, Sharjah, Ajman, Al Ain, Fujairah & Ras Al Khaima. Download our new iPhone & Android App now to start ordering! App Download link Successfully Sent to Your Mobile..